Drive success for your health care staffing business with best practices and resources that articulate the value of knowledge sharing, training, and more. Linda Aiken, Ph.D., RN, director of the University of Pennsylvania Center for Health Outcomes and Policy Research, has long examined supplemental nurses and their strategic role in the hospital workforce. 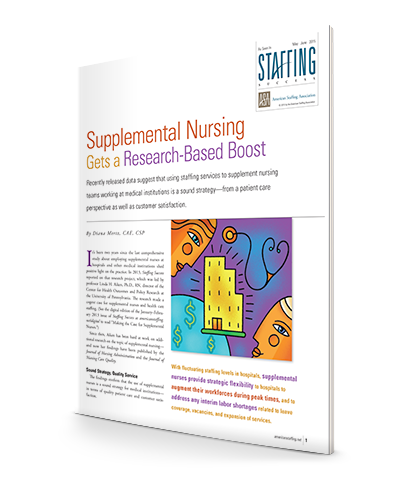 Members should use this trusted research to communicate the value of supplemental nurses to clients. Learn about Dr. Aiken’s research and download the supplemental nursing infographic. The Certified Health Care Staffing Professional certification differentiates you in an increasingly competitive vertical. Sector-Specific Infographics—outlines the demographics and work preferences of temporary and contract employees in the health care sector. Health Care Sector FAQs—beautifully designed handouts that answer client and job seeker questions about the health care sector. Personalize with your firm’s logo. Health Care Sector Model Contract—includes a list of documents to maintain for each assigned employee and the types and limits of insurance the staffing firm will carry. The agreement also contains alternative language for traveler positions and optional provisions for investigating Medicare or Medicaid fraud, cancellations, and minimum hours per week. Nurse Staffing Firm Best Practices—covers best practices and operations information to help nurse staffing firms protect themselves from legal risk and better serve their clients and employees. As employers, staffing firms must comply with employment law at the state and federal level. ASA provides detailed lists of state laws that are directed specifically at staffing firms, including laws specific to health care staffing. ASA also provides a list of state regulatory agencies responsible for enforcing health care staffing firm laws. Participate in ASA surveys; results that provide sector-level data to compare your firm with other firms in the health care sector. The Certified Health Care Staffing Professional program features rigorous content focused on employment and labor law at the federal level for health care staffing and recruiting professionals. It is the essential credential for health care staffing professionals, certifying their expertise to work with both employees and clients within the bounds of federal laws and regulations. 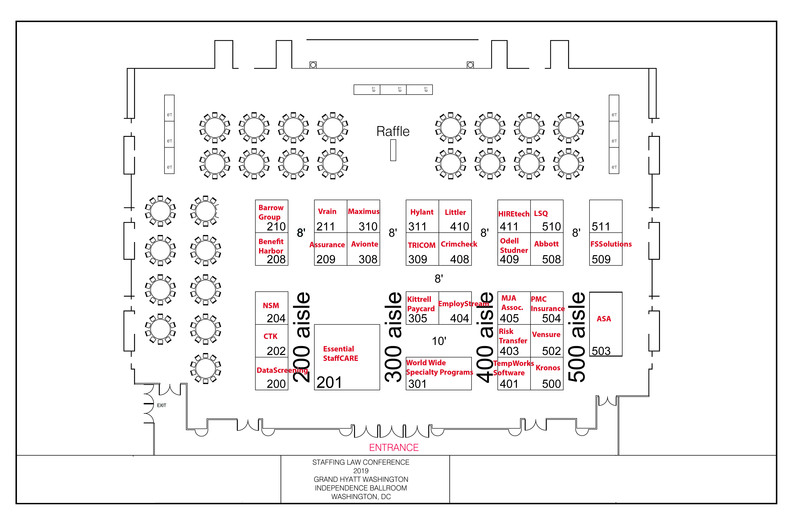 Network with your peers and find programs designed for your sector through the health care section community hosted on ASA Central, the association’s online networking platform. To join the health care section, update your profile on ASA Central.